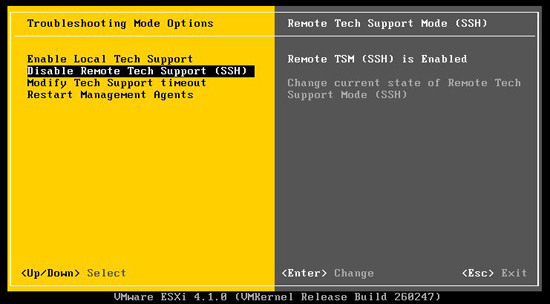 I did a VMware VI3 to vSphere (4.1 U1) upgrade today. While bringing all the guest machines across, suddenly I could no longer browse the datastore, I only had one more guest to “Add to the inventory”, and all the mission critical machines were already migrated. I tried rebooting the virtual center, I tried restarting the ESXi host machines, still it sat saying “Searching Datastore……”. But, while looking in the folder with the guest files, I saw thousands of log files, I guess the VI client is struggling to parse them all, and display them. A quick internet search and I found out I can safely delete the log files. 2. Log into the ESX/ESXi servers console, for ESXi servers (version 4.0 and below) see here, for newer versions you can simply enable SSH access from Troubleshooting Mode Options > Enable Remote Tech support (SSH). 4. Now you know your symlink, you can change to the folder that contains the affected guest OS. 5. 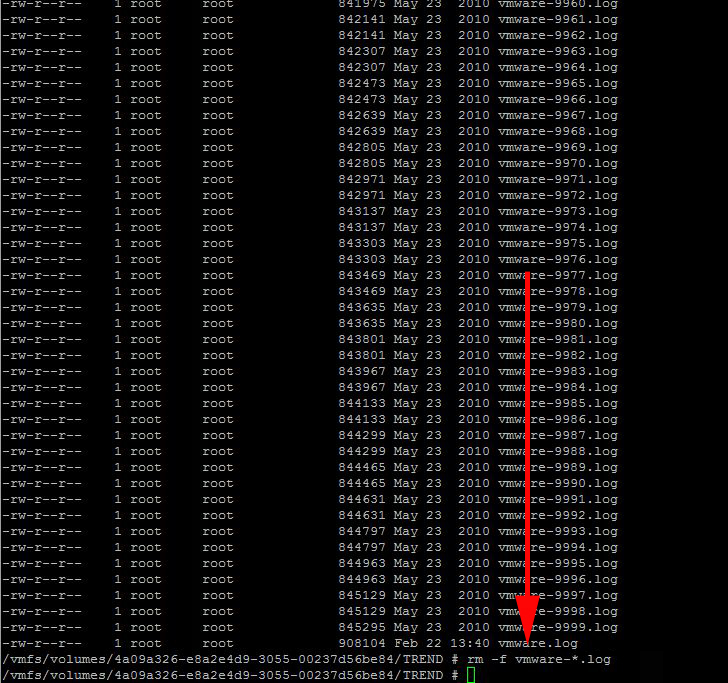 To get rid of all the log files, simply issue the following command. 6. Now retry and you should see the folder contents when you “Browse Datastore”.